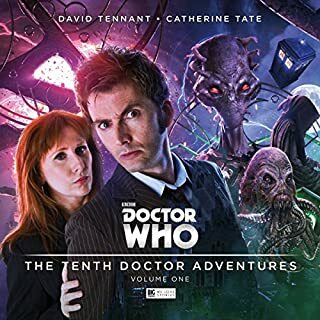 The universe stands on the brink of a dimensional crisis - and the Doctor and Raine are pulled into the very epicentre of it. 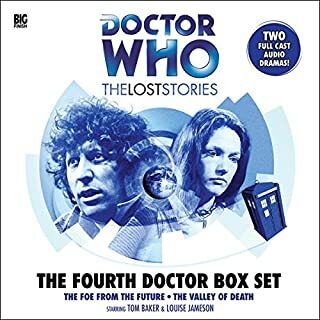 Meanwhile, on Earth, UNIT scientific advisor Dr Elizabeth Klein and an incarnation of the Doctor she's never encountered before are tested to the limit by a series of bizarre, alien invasions. Written by: Nicholas Briggs and Jason Arnopp and directed by: Nicholas Briggs. Also includes a special UNIT: Dominion behind-the-scenes documentary, edited and produced by Martin Montague. Well, this one threw in everything except the kitchen sink! Rifts between dimensions are allowing weird creatures into our world...and so we get giant spiders, nasty insects, energy vampires, and flying heads...head that look like babies. Yeah, flying baby heads! UNIT's scientific advisor, Elizabeth Klein, tries to deal with the situation, as well as the appearance of not one, but apparently TWO incarnations of the Doctor! A lot going on, but it's fun stuff! Well written and acted...great production values...tremendous value for money...will be listening to this again soon! 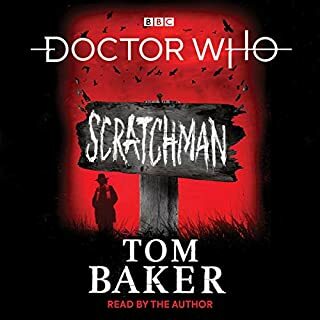 An excellent audio book by Big finish productions. 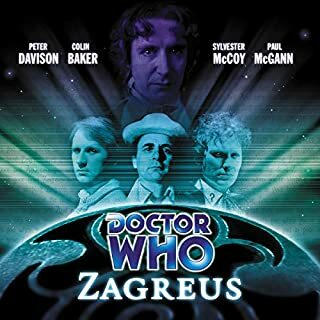 Would recommend for Doctor Who and sci fi fans. I loved the story and characters. Alex McQueen is excellent. I became engrossed very quickly. The only note of caution I would give is to listen carefully as the plot is complex. That said I really enjoyed it and am going to listen to it again! 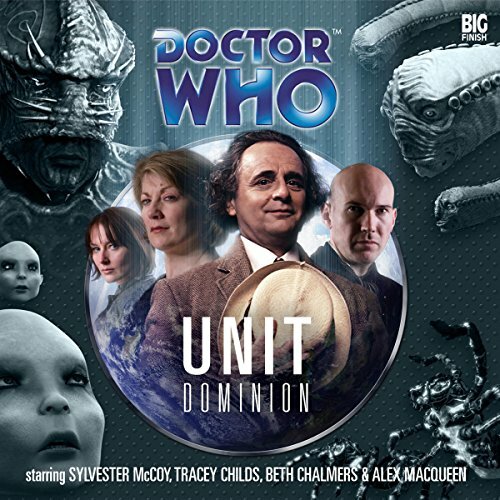 Where does Doctor Who - UNIT Dominion rank among all the audiobooks you’ve listened to so far? Probably the most out ther, but also one of the best. What was one of the most memorable moments of Doctor Who - UNIT Dominion? Alex MacQueen is fantastic. There is something of a Colin Baker interpretation going on, but he steals the show. Sylvester McCoy slips straight back into the part seamlessly. Underrated during his tenure this is a Doctor with nuance and deapth. 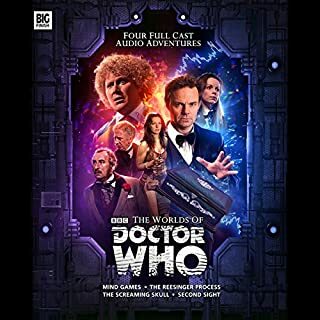 While not the height of Big Finish, this is certainly an enjoyable series, with fun mysteries and a memorable cast of characters. Alex McQueen is always a win! Feels a little slow to get going, with few appearances from the Doctor. 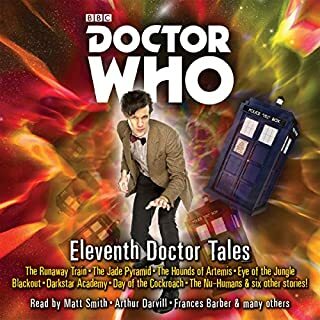 This is a UNIT story that features the Doctor, not the other way around. A gripping story that unravels slowly, so take your time and pay attention.